ASICS, the brand globally synonymous with running, celebrates its tenth year as the official 'Sports Goods Partner' for Mumbai's iconic racing event. 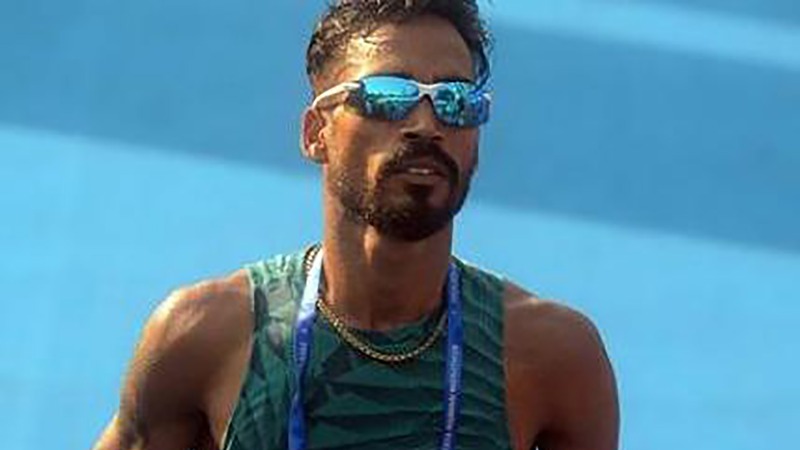 Mumbai, Dec 20: Procam International and sport performance brand ASICS on Thursday unveiled the official ‘Race Day Tee for the 16th edition of the Tata Mumbai Marathon. ASICS and Procam International, today unveiled the official ‘Race Day Tee’ for the 16th edition of the Tata Mumbai Marathon. ASICS, the brand globally synonymous with running, celebrates its tenth year as the official ‘Sports Goods Partner’ for Mumbai’s iconic racing event. 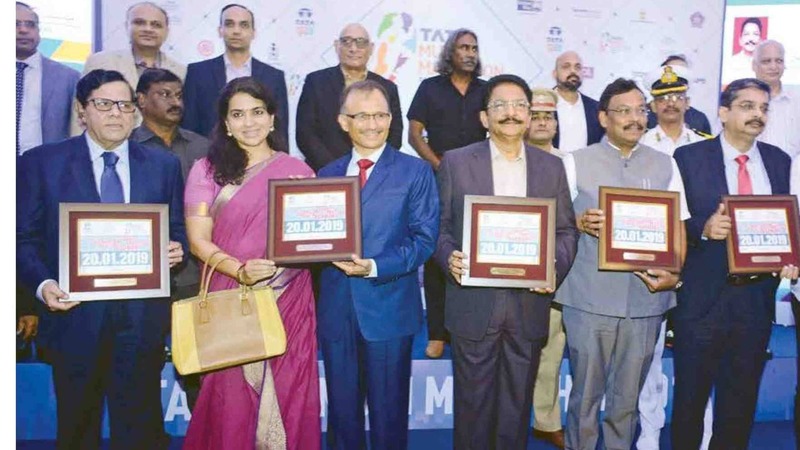 Maharashtra Governor Vidyasagar Rao became the first person to register for the 16th edition of Tata Mumbai Marathon on Friday. The official registrations for the $405,000 IAAF Silver label event slated for January 20, 2019 will open with Full Marathon on Sunday. Chennamaneni Vidyasagar Rao appears to be suave and sophisticated. After a four-decade plus long stint as a politician — he rose from being the chairman of the Jana Sang (Karimnagar, Andhra Pradesh) to a minister in the Atal Behari Vajpayee-led BJP government in 1999 — he was given the gubernatorial post in the State in August 2014, which made him the VVIP occupant of the most important real estate property of the country: Raj Bhavan. 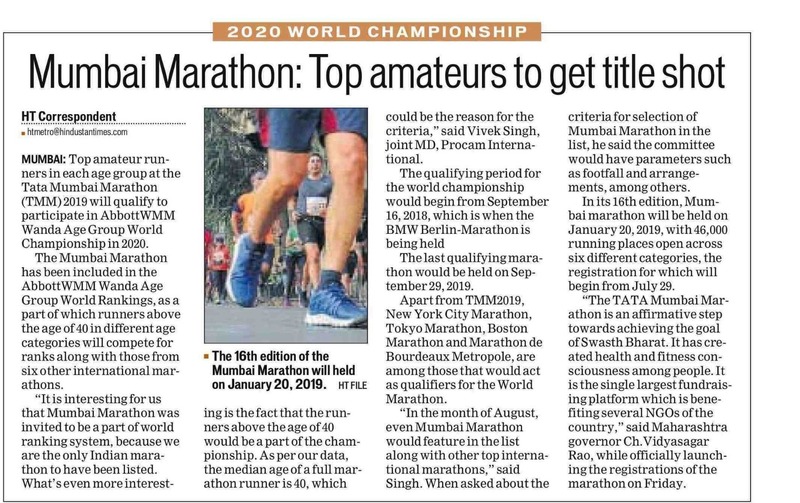 Top amateur runners in each age group at the Tata Mumbai Marathon (TMM) 2019 will qualify to participate in AbbottWMM Wanda Age Group World Championship in 2020. 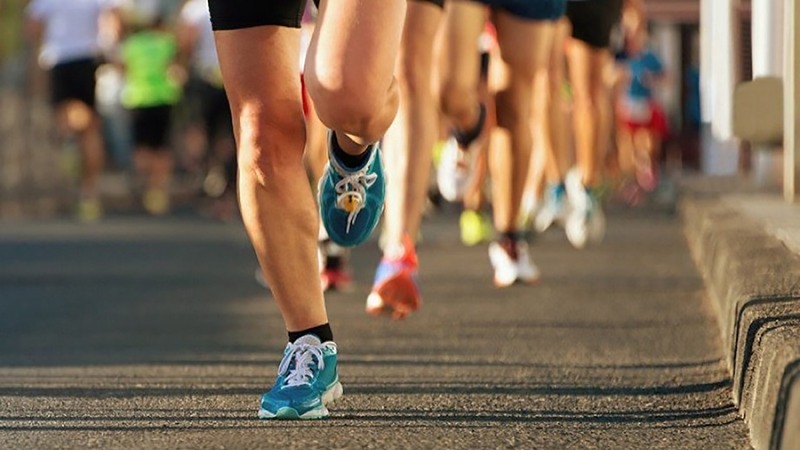 Registrations for the Tata Mumbai Marathon, to be held on January 20, 2019, are to commence on July 29, race promoters Procam International announced on Friday. 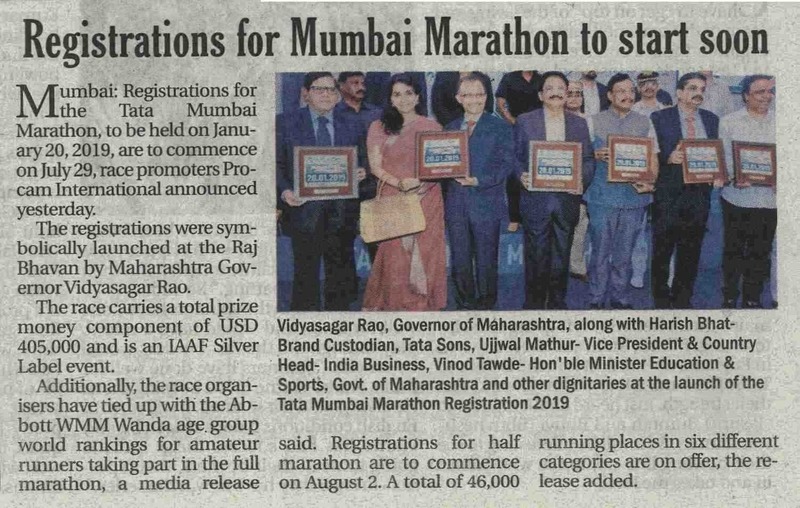 Vivek Singh of Procam International, the promoter of Mumbai Marathon, announced that the diversified, USD 102-billion Tata Sons will helm the marathon for the next decade. 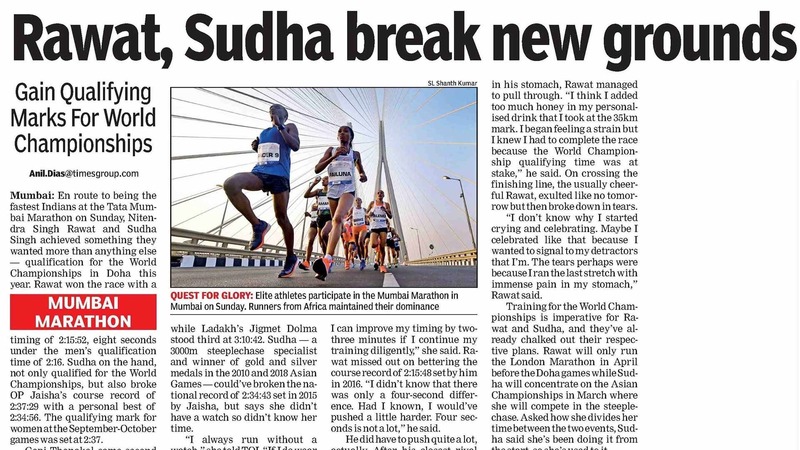 The 14th edition of Standard Chartered Mumbai Marathon (SCMM) conducted in January has raised funds totalling ₹32.93 crore, bettering the collections of all its previous editions. Over 20,000 donors contributed this year, helping surpass the previous year’s figure of ₹28.14 crore. The 14th edition of the prestigious Mumbai Marathon 2017 was flagged-off at the Chhatrapati Shivaji Terminus in Mumbai this morning. The 13th edition of the Standard Chartered Mumbai Marathon, held on January 17, raised 28.14 crore for charity in aid of multiple causes through the efforts of its philanthropy partner, United Way Mumbai. Apart from being Asia’s premier distance running event, the Standard Chartered Mumbai Marathon (SCMM) is also the frontrunner in charity. The charity drive associated with the event has continually raised substantial amounts and has yet again shattered records.